short notice or weekend moves. What is the difference between self storage and mover’s storage? assuring you will receive your items back, in the exact same condition they went into storage. Before Moving movers have so many questions, It is very important to be educated with the Most Frequently Asked Questions (FAQ)? What if I have to postpone my move date? your local or long distance moving and storage services. What does my mover need to know about my moving origin and destination? manpower, supplies or time to your moving services. How does the mover keep my items safe? our experienced teams to provide you peace of mind in their safe transport. Should I have an in person estimate for moving services or, get my estimate for moving services over the phone? Are both estimate types guaranteed? ALL Superior Moving and Storage estimates are guaranteed. An in-person estimate is guaranteed based on what our estimator observes and is told by you, at the time of the estimate for moving services. An estimate for local or long distance moving done over the phone is also guaranteed but, guaranteed by what you represent to us, sight unseen. How does the moving company estimate my cost to move? All superior moving estimators were once movers on our trucks. This gives our moving estimators unparalleled experience in calculating how long it will take us to pack, transport and unpack the contents of your home, office or business. Both local and long distance moves involve the same factors. The more we understand about your home, office or business move, the better we can formulate an accurate estimate for moving and storage services. Does the mover pack everything for me? Superior Moving and Storage offers affordable and convenient professional packing services, in addition to regular moving services. Our professional packers are specifically trained to securely pack everything from fragile collectibles to grandfather clocks, using only the highest quality packing materials. How do I know you will not charge me more then my guaranteed estimate? Do you have a list of references I can call about your company? Do you have your own employees or do you use sub-contractors or day labor? What if the weather is bad the day of the move? Is your company registered with the BBB? 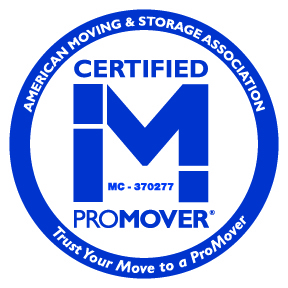 Do you have any affiliations with moving organizations such as Florida Movers and Warehouseman's association, or the American Moving & Storage Association? What time will the moving job begin? and how long will it take to move me? Do you move out of state ? What if I need to storage my items ? Is there short term storage available, such as leaving the items in the truck for a few days? Do you have Air Conditioned Storage? Rosalie asked if she had to empty her drawers from her dresser when making a long distance move to New York. Superior Moving advised Rosalie that drawers can be left full of soft items such as linens, clothing , and delicates. If you have any heavy items such as books, CD's or weighted items to remove them from the drawers. Also make sure you do not leave any breakables in the drawers. All Superior Moving estimators have unparalleled experience in calculating how long it will take us to pack, transport and unpack the contents of your home, office or business. Both local and long distance moves involve the same factors. The more we understand about your home, office or business move, the better we can formulate an accurate estimate for moving and storage services. No problem. Please give our friendly office personnel as much notice as possible so we may reschedule your local or long distance moving and storage services. Superior Moving estimators need to know the miles to be traveled as well as the carry distances at both origin and destination. Factors like stairs and elevators are important, in addition to any specific circumstances like move-in or move-out time restrictions, parking constraints for the Superior Moving truck, steep hills, unusually narrow doors or hallways and basically, anything that may add additional manpower, supplies or time to your moving services. At Superior Moving, we use premium quality, sanitized mover’s pads to safeguard each and every item during transport. Mattresses are protected in heavy gauge bags to safeguard them from dirt or damage. With exceptionally fragile items, we suggest you consider having them professionally packed by our experienced teams to provide you peace of mind in their safe transport. At Superior Moving and Storage, we can gladly accommodate last minute moves because of our extensive resources for dependable, experienced manpower and mechanically sound fleet of modern, reliable trucks. At Superior Moving, whether local or long distance moving services, we never charge extra for short notice or weekend moves. Self storage is a contract you enter into with a separate entity. Mover’s storage is provided directly by Superior Moving and Storage at our own state of the art facility. At Superior Moving, we offer affordable month to month rates and extend generous discounts for longer term customers. When entrusting your storage contents to Superior Moving, we offer a 100% air-conditioned, spotlessly clean facility with 24 hour video surveillance. We plastic wrap all furniture and place all mattresses in heavy grade bags to ensure your items are free of dirt and debris. A custom designed storage crate is crafted to fit your contents specifically so, you never pay for space you don’t need. We also provide a written, descriptive inventory free of charge upon move-in to catalog the condition of each of your prior to move in, assuring you will receive your items back, in the exact same condition they went into storage.